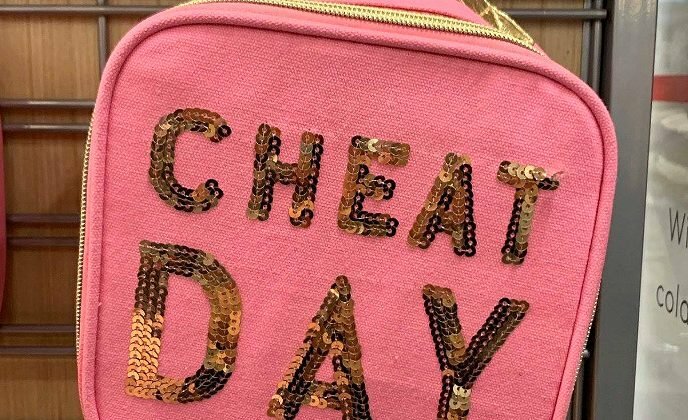 A mom of three was “sickened” after she spotted a pink lunchbox with sparkly letters spelling out “CHEAT DAY” at a department store. Influencer Sonni Abatta was shopping with her young daughter — who ran over to the shelves of lunchboxes after spotting the candy sold alongside — and immediately thought about the negative implications of the lunchboxes on body acceptance. Abatta said the word “cheat” on a lunch tote connotes negativity and implies that food is unhealthy or not allowed under normal circumstances. And Abatta — who also has a young son — pointed out that boys’ lunchboxes don’t get the same treatment. Abatta also addressed comments from followers who suggested the lunchbox was marketed to adult women rather than girls. Abatta said that her message for her followers — and for her two daughters — is that people are worth more than how they look. “Girls — you are not ‘cheating’ when you enjoy good food. You are not ‘cheating’ when you eat pizza. You are not ‘cheating’ when you have a cookie, or two, on occasion. You are not ‘cheating’ when you live in moderation and allow yourself things that make you happy,” she wrote.